Trafalgar Square embraces the past and the present of the city in a single sweep, forming the vibrant core of Westminster. The public square hosts a lively milieu of events throughout the year and features the magnificent National Gallery and National Portrait Gallery along its hem. Trafalgar Square was named thus to commemorate the Battle of Trafalgar of 1805, an event that marks the fall of the French naval fleet, securing Britain from invasion. A column with a statue of Admiral Horatio Nelson at the summit is the centerpiece of the square, honoring the man responsible for this momentous victory. At the base of the column are the renowned Landseer Lions, flanked by babbling fountains. Renovations in 2003 removed traffic lanes to make room for a sizable staircase, connecting the National Portrait Gallery to the square, with spellbinding views of Big Ben to be had from its highest point. 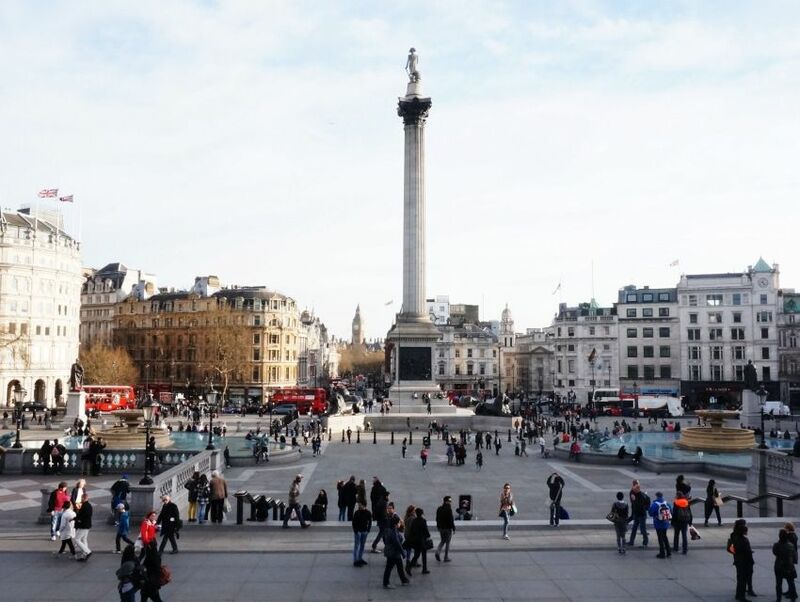 The beating heart of the neighborhood, Trafalgar Square is forever bustling with tourists making their way to the galleries and locals passing through.